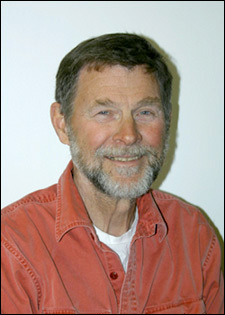 Floyd is currently working as Director of Land and Right of Way for Kinder Morgan, Inc., a corporation with pipelines and other infrastructure facilities across the continental U.S. Floyd has worked for Kinder Morgan and its predecessors for over 35 years, largely in the Land and Environmental Departments. He went to West Texas State University in Canyon, Texas, earning a Masters Degree in Political Science. Floyd has long been an advocate for conservation issues in the West, from his days in college learning about overuse of the Ogallala Aquifer, to advocating for conservation efforts in development during projects such as the Ruby Pipeline that crossed Wyoming, Utah, Nevada and Oregon around 2012. Jon Marvel is the vice-president of the Sagebrush Habitat Conservation Fund and formerly served as the executive director of Western Watersheds Project. Originally from Delaware, Jon has a BA in American History from the University of Chicago and a MArch from the University of Oregon. 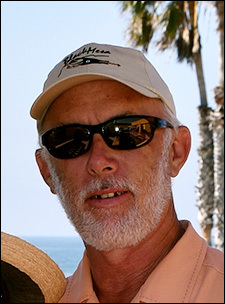 He is a licensed architect and has practiced architecture in Idaho for more than 37 years. Jon has lived in Idaho for 49 years and in Hailey, Idaho since 1981. He has been active in local and state politics in Idaho, having served as Democratic Party Chair in Blaine County and as a member of the Idaho State Democratic Party Central and Executive Committees. He has been married for 48 years and has two children and three grandchildren. Mr. Marvel was appointed to the Sagebrush Habitat Conservation Fund’s board as the representative of Western Watersheds Project in September 2011. When not working for change in public lands management, he enjoys wilderness river running and hiking the roadless areas of Idaho. Mr. Blanchard currently serves as Chairman of the Board of Trustees for the Idaho State Historical Society Representing District 5 or Central Idaho. He is from Bellevue, Idaho and has served three terms as a Blaine County Commissioner. Tom was appointed to the first BLM Resource Advisory Committee by Secretary Babbitt and served on Board of the Craters of the Moon Natural History Association and the Idaho Humanities Council. He holds a MA degree in history from San Francisco State College. 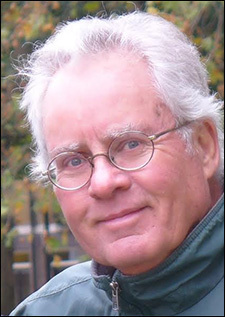 Since coming to Bellevue over 35 years ago, he has been involved in numerous local history projects, taught Idaho and the Pacific Northwest history for the College of Southern Idaho, and given hundreds of public presentations on Idaho history throughout the state for Idaho institutions for higher education and the Idaho Humanities Council Speakers Bureau. His topical specialty is the history of mining in Idaho, the Goodale/Jeffers Cutoff on the Oregon Trail, and Idaho territorial politics. "To Protect and Restore Sagebrush Habitat in the American West to Benefit Native Wildlife Through Voluntary Conservation"